UNIQUE Investment Potential!!! RV Mobile Home Park. This is the only privately owned property that is listed between Highway 28 and Plum Branch Yacht Club, about a 3 minute drive and public. 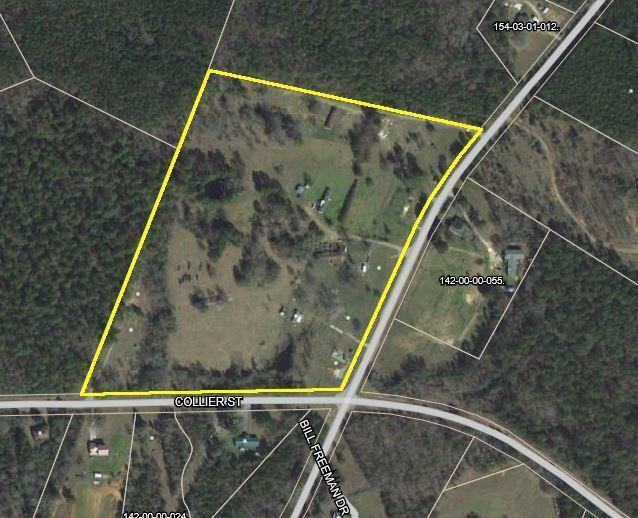 This 20-acre investment opportunity is split zoned with 10 acres platted and permitted for an RV park along the North and West property lines, and the remaining 10 acres for a mobile home park in the South West corner, with plat recorded. There is electricity, 26 septic tanks and 18 county water meters already in place for the RV park, allowing for quick start up opportunity. The mobile home park currently has water, electricity and septic available. Paved road to property, and drive ways on property are dirt.